By Wesley Fenlon on Dec. 9, 2013 at 10:30 a.m.
One map hobbyist designed his first version of the perfect map 40 years ago. He's still working on it today. 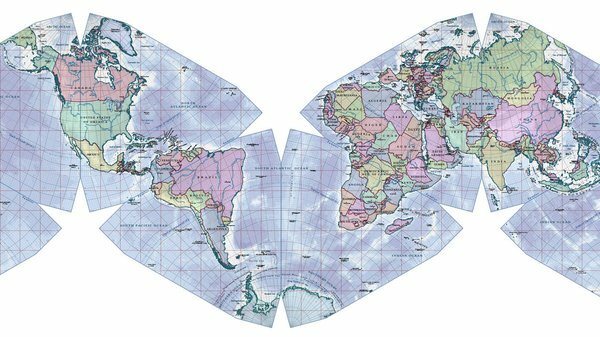 A century ago, cartographer Bernard Cahill created the Cahill Butterfly projection, a map that is still recognized (though underappreciated) for its accuracy. As we recently wrote, Cahill's butterfly design split the globe up into eight lobes, and the way they're splayed out made them almost entirely free from distortion. It's a very, very accurate map, but not perfect, and at least one man thought he could make Cahill's projection even better. He's been working on his own version for 40 years. For 40 years, [Gene] Keyes has been tweaking the details of his own custom projection, based on the Cahill butterfly projection," writes Wired. "In fact, if it weren’t for Keyes’ obsessive research, the modern world might well have completely forgotten about Cahill’s iconic butterfly. A lifelong pacifist, Keyes originally viewed geography as a way to illuminate war, but eventually it came to dominate his impressive capacity for obsession. The Cahill-Keyes map represents decades of painstaking work on Keyes part, tuning Cahill's design into what he considers the perfect map. Or, at least, as perfect as he's gotten so far. When Keyes first set out on his map quest, he actually looked to Buckminster Fuller's Dymaxion map. But he decided the Dymaxion wouldn't cut it. In a lengthy critique of the Dymaxion, Keyes points out some of its flaws, like a bent equator, irregular graticule (lines of longitude and latitude), and distortion around Korea and Norway. Keyes adds that the Dymaxion has poor scalability and learnability. "Cahill had all the continents unbroken, and with minimal distortion, in a design of perfect symmetry, interchangeable with a globe," Keyes writes on his site. 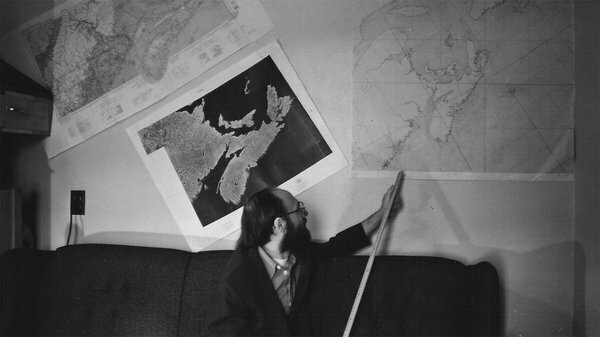 So Keyes began to work on his own projection by tweaking the Cahill map, which he discovered after Fuller's. Wired elaborates that Keyes couldn't find a large-scale version of the Cahill map, so he decided to draw his own Cahill projection, rearranging the pattern into an M shape and calculating the graticule himself. Keyes' reasoning for the arrangement was simple: It would make the map more familiar and more usable than Cahill's butterfly pattern. "My eureka moment came on March 9, 1975 when I reconfigured the Butterfly to an 'M' joined at the South Atlantic," Keyes writes. "This gave me a profile which essentially echoes the prevailing arrangement of commonplace maps, with New World on the left, and Old World on the right, north up, south down. 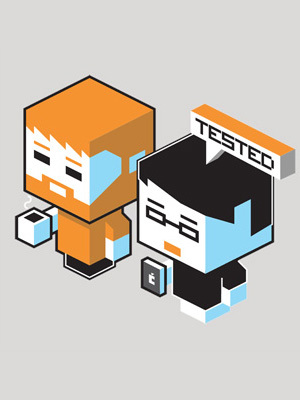 Nothing sacrosanct about any of that; only customary like QWERTY, for all its faults." He made other changes to keep continents from being divided and to keep each geocell--one degree of latitude and longitude--as distortion-free as possible, given the limitations of adapting the globe into a flat projection. Keyes drew his original map in 1975. More recently, he's taken on an ambitious project: the Cahill-Keyes megamap. Keyes wants his projection to be scalable to any size. The megamap would be a 1:1 million scale "nearly half the size of a football field, with a 1° graticule spacing," writes Wired. "The 1° resolution would mean the measurements between the lines of latitude and longitude would be incredibly accurate. Because each line of longitude and latitude is an exact translation of the mathematical function that transforms globe into map, the thicker the graticule, the more accurate Keyes could measure. Most maps use a 7.5° or 15° graticule spacing for their grid. On the Megamap, a 1° x 1° area – which Keyes called the geocell – could be large enough to stand in." Keyes has some great photos of hand-drawn megamap prototypes on his website. His site also features images of a colored political map of the Cahill-Keyes projection, created by Duncan Webb. Someday, that version of Keyes' map may duke it out with the Mercator for the walls of classrooms and the pages of history textbooks.